This article was to be posted several weeks ago, but income taxes and other distractions got in the way. On this particular day, while cleaning up the corral at the middle barn, I noticed that Harry had stopped eating his hay and was going out into the pasture with ears forward and a very intent, no-nonsense look on his face. 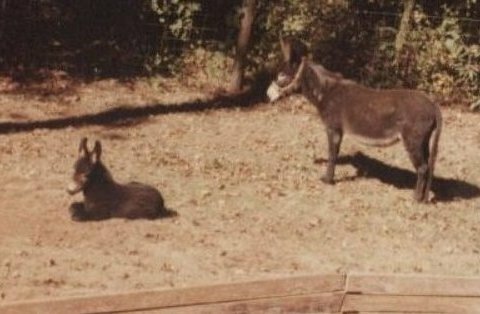 Soon, other donkeys were joining him. 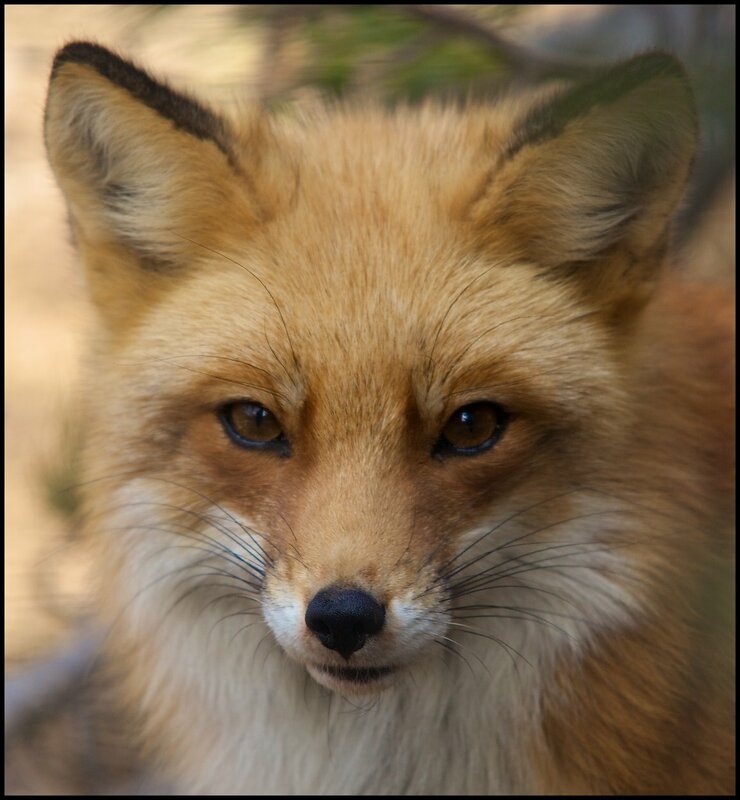 I stopped working to watch and within seconds, I saw the object of their attention: a beautiful red fox. She stood her ground until the group began to get too close. She loped away and when she came to the wire field fence, she went through it about 3 feet up. 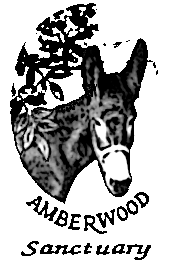 She and the donkeys faced each other and stared for awhile, and finally she trotted off toward an adjoining field. The donkeys went back to eating in the barn, and I resumed my work but kept an eye out for her. And in only a few minutes, there she was: She came back through the fence to continue her interrupted mission, which I believe was to go into a large blackberry bramble. I looked at Harry: He was eating. A second later, though, he looked up and saw her. He watched her briefly and went back to eating his hay. I watched her until my view of her was blocked by the blackberry patch. She did not travel past the brambles, so she had to go into it. I just bet her kits were in there waiting for their mama. She certainly wasn't going to be deterred by a few donkeys. Since this incident, I have seen this fox, or possibly her mate, several times, most recently in my flower bed. Each time, I had no camera or she was too fast. If I can ever get her picture, I'll post it. In the meantime, everyone at Amberwood Sanctuary is doing well. The donkeys are beginning to eat more grass out in the pastures and so require less hay. We have had some good luck, along with mechanical expertise from Bobby, who has done a lot of work at Amberwood Sanctuary: The rotary mower pulled by the tractor has been repaired for a fraction of the cost that had been estimated, and there had been a real possibility that we would have to buy a new mower. Lastly, today is Earth Day! It was founded by Senator Gaylord Nelson of Wisconsin. Celebrate by Becoming Part of the Solution to Our Environmental Crisis. "...on April 22, 1970, Earth Day was held, one of the most remarkable happenings in the history of democracy..."
a. Embrace the natural world with humility and reverence. b. Reconsider our perception of our responsibility to Earth and all of her life forms. 2. Control our human population growth: Adapt a more realistic attitude toward propagating our own species. a. Redefine our personal values to seek fulfillment in relationships and important work, not material possessions. b. The economy begins with the work we do, paid and unpaid, and the products we buy. Be personally responsible for the investment of our time, skills, and money. c. Consider how each purchase we make affects us, other people, other species, and the Earth. d. Think in terms of bioregionalism. Whenever possible, purchase items produced locally. e. Rethink our culture's compulsive view of economic growth. a. Demand safe, healthful food. When we can, grow our own. b. Eat lower on the food chain. The vegetarian diet, and particularly vegan, is less damaging to the Earth and promotes the ultimate concern for other species. c. Stop using harmful household, farm, garden, and lawn chemicals. d. Insist that wetlands and rainforests stop being destroyed. a. Live close to work. b. Use public transportation or carpool. c. Don't buy products made from petrochemicals, including plastics. d. Rethink our personal shopping habits to reduce travel. e. Drive efficient cars, reduce their speed, keep tires properly inflated. f. Buy products with less packaging. g. Reduce water use. Take shorter showers; run washing machines and dishwashers when they are full. h. Turn off lights when they are not needed. i. Turn your heater thermostat down two degrees in winter and your air conditioner thermostat up two degrees in summer. j. Reduce paper use. Cloth napkins rather than paper ones; rags instead of paper towels; dishes, glasses, and cups rather than paper plates and cups. Buy post-consumer recycled paper and recycle it when you've used it. 6. Repair, reuse, recycle: Our homes, our schools, other public buildings, clothing, furniture, cars, etc. a. Avoid purchasing disposable products. Buy rechargeable batteries, standard razors and cameras, refillable pens. We are running out of room for disposable products. b. Use water-based or vegetable-based paints, stains, and varnishes. c. Don't pour paint thinners, household cleaners, oil, or pesticides down the drain or on the ground. Use them up, give leftovers to friends or a charity, or dispose of them at your local toxic waste disposal center. d. Use non-toxic household products. e. Make recycling a normal part of your life. Many items that are going into landfills can be recycled or reused by someone else, things such as glass, newspaper, office paper, cardboard, metals, clothes, some plastics, magazines, motor oil. 7. Educate ourselves about ecological concerns: Our lives and the lives of our children and grandchildren depend on it. a. Don't waste--only buy and use what we absolutely need. Stop extravagant consumerism. Think quality, not quantity. Purchase items that have long lives and do not have to be replaced. b. Return to traditional measures of success--integrity, honesty, skills, hard work--rather than the accumulation of money and material possessions.